I feel like I’ve been MIA for a bit. Since returning from our trip to Colorado this summer I’ve been juggling way too many balls at once, and unfortunately my blog has been neglected. There are just so many hours in the day. I’m back, even though my plate is still flowing over. I’m hopeful that I can get back to posting on a regular biweekly basis now. 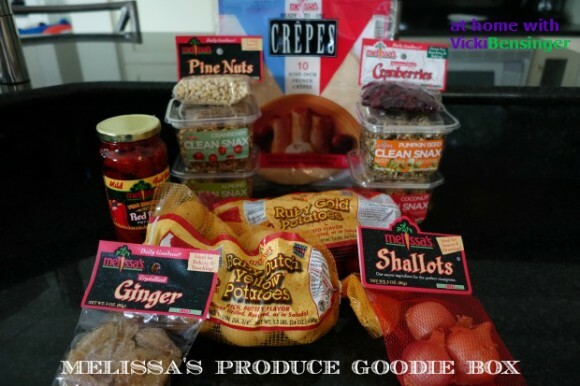 Last week my friend over at Melissa’s Produce sent me a wonderful goodie box filled with so many luscious ingredients. I can’t wait to share recipes using each of these over the next week. 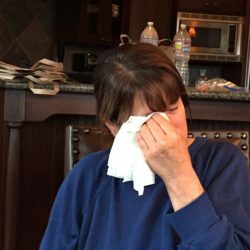 While vacationing in Colorado this summer I found myself eating mostly fruits, veggies and fish. I hardly baked any desserts, and I’m sure that was due to the fact that my daughter wasn’t able to join us until our last week of vacation. She always encourages me to bake all sorts of tasty treats. I’m sure this had something to do with the reason I lost weight this trip. Most days I biked from 1 1/2 to 4 hours, and with the cool weather I rarely felt exhausted. I’ve been training to bike 50 miles for Pedal the Cause here in St Louis – an event to raise funds to help create a world without cancer. (Please help me by donating). Exercising for so long caused me to lose my appetite for food, but longing for something to quench my thirst. When I was hungry, I craved fruit, nuts, and vegetables. 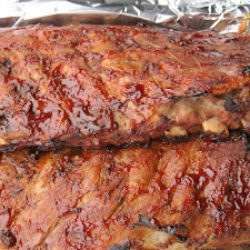 For dinner I would typically have those along with a little fish or chicken. I felt great, and have continued eating this way since coming home. So when Melissa’s sent me this wonderful goodie box I started thinking of all the tasty dishes I could create. 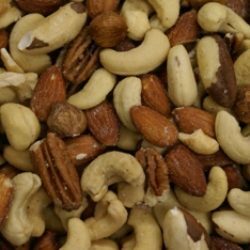 Trail mix, and granola bars seem to be a staple while biking and hiking in the mountains, so I decided to come up with a Trail Mix Cookie recipe that was nutritious. I searched online for ideas, then resorted to some of my spa cookbooks. Low and behold I found a wonderful recipe for “Trail Mix Cookies.” I couldn’t believe it! I decided to use the dried cranberries and pine nuts sent in my goodie box. I meant to add the crystalized ginger for added flavor but totally forgot. Of course, I could have made granola, but the four boxes called “Clean Snax” above, were cube-sized granola bars that were amazing. My family gobbled them up just after shooting this photo. These would be the perfect addition to your kids lunch box or to store in your purse when you’re feeling hungry. They came in flavors of cranberry, coconut, pumpkin seed and almond. So good! Below is the recipe for Trail Mix Cookies, ideal for any occasion even a cookie exchange. 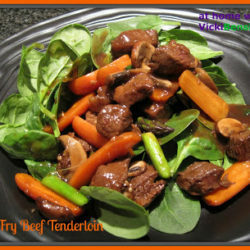 Of course this is just one version, but I can think of so many variations that I’ll be sure to try next time I make a batch. 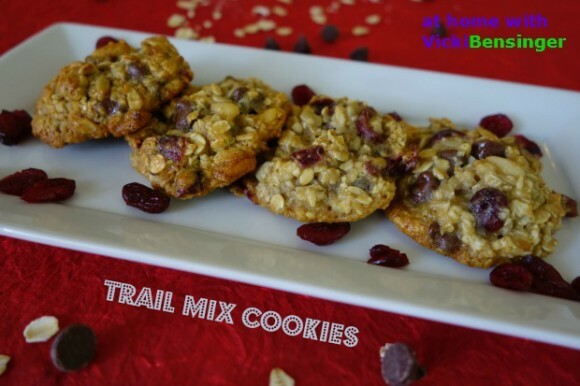 What would your Trail Mix Cookies have in them? Here's a healthy and nutritious cookie to enjoy without the guilt! In a stand mixer fitted with the paddle attachment, cream the butter, brown sugar, and cane sugar until smooth. Add the honey and egg whites, scrape down the sides of the bowl using a rubber spatula, and continue to mix for another minute. In a small bowl, whisk together the flour, baking soda, and salt. Add this mixture and the oats to the ingredients in the mixer and continue mixing until just combined. Add the seeds, dried fruit, and chocolate chips. Scoop 1-tablespoon portions (small ice cream or cookie scoop) onto the prepared baking sheet, leaving about 1-inch between the cookies. Bake until the cookies are lightly browned and they release from the parchment, 8 to 10 minutes. Remove from oven and cool on a wire rack. Glad that you have enjoyed yourself in Colorado and welcome back! These trail mix cookies look wholesome with oats and all the good nuts and seeds. Thanks Angie. I feel so bad I’ve been MIA for a bit and haven’t even had time to visit your wonderful blog as well as many others. Hopefully my schedule will clear up so I can make the time to post on mine and comment on others. The cookies are yummy, I hope you’ll try them. I wouldn’t mind enjoying these delicious cookies, they look full of lovely energetic flavours! These will definitely get your engine rev’d up and they’re tasty too! I hope you’ll try them. I love all the goodies in these cookies! And a healthier treat is always welcome…your cookies sound delicious!!! Thanks Liz, they are very tasty. Sounds like your Colorado trip was awesome! And speaking of awesome, these cookies definitely fit that description. These are so healthy I could eat them for breakfast! 😉 Good stuff — thanks. We did have a nice time. Now to get back to blogging, work and helping my family out with all their chores as well. It seems like there’s rarely down time. Glad to see your pretty face. It seems like you’ve been REALLY busy. I can’t imagine doing that much biking. 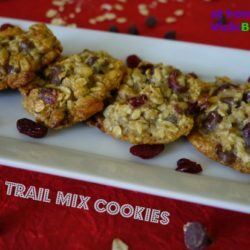 I’d need more than one of these wonderful trail mix cookies after putting the bike away. You’re so sweet. Yes more than one trail mix cookie would be needed after a bike ride or even one during to sustain your energy. They definitely are. Hope you’ll try them. Love these delicious cookies so full of nutrition and delicious ingredients. Thanks Susan. I hope you’ve been enjoying your summer as well. My husband just proclaimed that he wanted your cookies after seeing them. Thanks for sharing Vicki and I hope you have been doing fine otherwise. Hope you had a great time away! Your cookies sound delicious with all those wonderfully healthy ingredients! The cookies are surely great for snacking and for breakfast. I can have them anytime actually. Its nice to see you back and its always nice to take a break once in a while.